Centre for Research and Development Policy (CRDP) Tuesday felicitated the participants of September 7 event which was held in convocation of University of Kashmir. Notably, CRDP commemorated the September 2014 floods last month and a grand function was held in the convocation of University of Kashmir. CRDP felicitated the ‘Brave-Hearts’ of 2014 floods. The event which witnessed attendance of over 2000 participants featured prize distribution events while rock performances by Kashmiri musicians presented foot tapping songs. Kashmir’s sports star, Pervez Rasool graced the event while civil society members lead the honouring of the ‘brave-hearts’. To organize such a huge event, CRDP had engaged volunteer from certain valley colleges, especially Women’s college Srinagar. 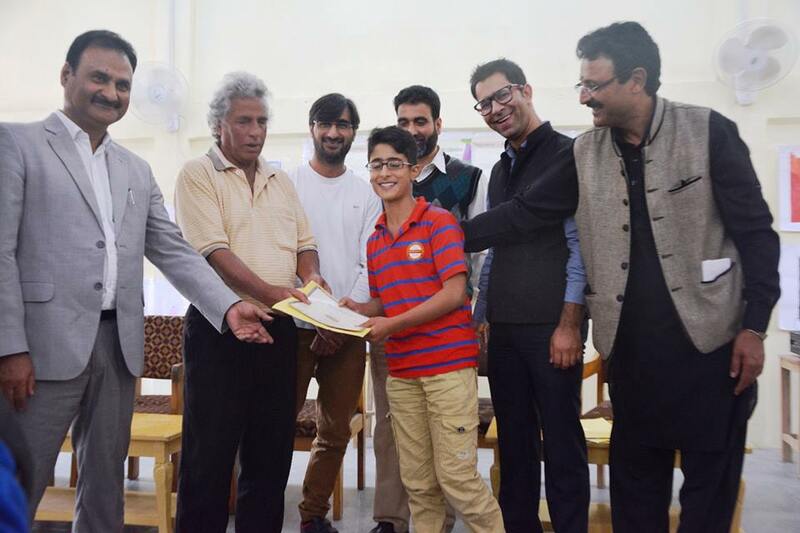 The Srinagar based ‘Think-Tank’, CRDP, held a function at SP Higher Secondary School, Srinagar and presented awards winners of Drawing Competition and photo exhibition. CRDP had organized three events on September 7 to commemorate last year’s devastative flood. A Drawing competition for students, a photo exhibition by photo journalists who worked during the 2014 floods to record Kashmir’s contemporary history by putting their lives at risk and a general award distribution function. The CRDP also honoured the dedication and valour which the volunteers put in to make the September 7th event successful. Famous Cartoonist, Bashir Ahmad Bashir (BAB) was the chief guest while Dr Saleem Ur Rehman, Principal SP College, Yasir Shah from Chinar International, Shuja ul Haq from Headlines Today and CRDP Director Dr Suhail Masoodi and civil society members were present at the function. The guest praised CRDP’s such an initiative. 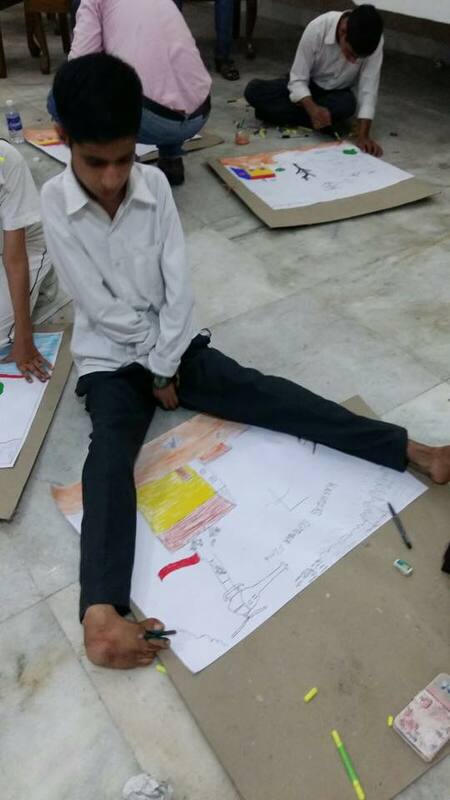 A specially abled student participating in the CRDP organized drawing competition. The photo journalists who put their lives at risk during last year’s flood to record our own history were also felicitated on the occasion. Various government run schools had participated in the drawing competition. They were given certificates and prizes by the guests. The participants at the end of the event cherished a sumptuous lunch. 5th: Shakir Farooq, Helpline Bijbehara.